Staten Island women no longer have to wait for mammograms. a woman can receive this life saving test within a few days. 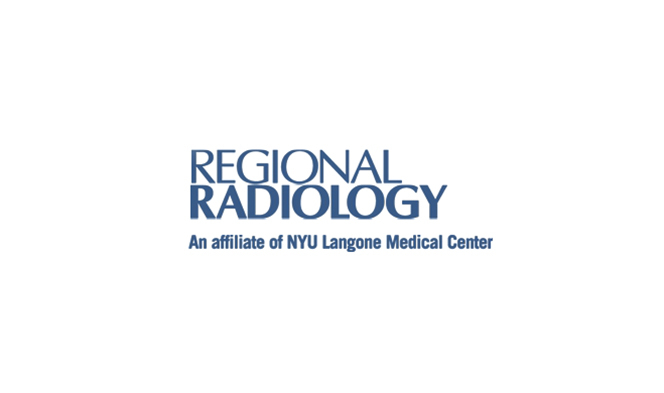 At Regional Radiology we recognize that women have special health concerns and needs. We have addressed these challenges by combining physicians who excel in their area of expertise with the most advanced diagnostic equipment available. Our physicians all have advanced training in mammography and women's imaging and are among the best in their field. Our services are accredited by the American College of Radiology and comply with MQSA standards. in certain high risk patients. We provide direct digital mammography exclusively. We offer breast biopsies and breast MRI and are one of only a few facilities in the New York area offering MRI guided biopsies. We also offer a complete range of obstetrical and gynecological ultrasound exams and bone density studies. Mammography plays a central part in early detection of breast cancers because it can show changes in the breast up to two years before a patient or physician can feel them. Current guidelines from the U.S. Department of Health and Human Services (HHS), the American Cancer Society (ACS), the American Medical Association (AMA) and the American College of Radiology (ACR) recommend screening mammography every year for women, beginning at age 40. Research has shown that annual mammograms lead to early detection of breast cancers, when they are most curable and when breast-conservation therapies are available. Diagnostic mammography is used to evaluate a patient with abnormal clinical findings such as a breast lump or lumps that have been found by the woman or her doctor. Diagnostic mammography may also be done after an abnormal screening mammography in order to determine the cause of the area of concern on the screening exam. MRI of the breast is not a replacement for mammography or ultrasound imaging but rather is a supplemental tool for detecting and staging breast cancer and other breast abnormalities. Medical studies are currently being conducted to determine whether MRI and other imaging methods can contribute to the early detection of, and prevention of deaths from, breast cancer. Recent research has demonstrated that MRI can detect some small breast lesions sometimes missed by mammography. MRI can also help detect breast cancer in women with breast implants and younger women with dense breast tissue—both of which are difficult to image using traditional mammography. Because MR imaging does not involve radiation, the procedure could be used to screen women younger than 40 and to increase the number of screenings per year for women at high risk for breast cancer. The ACS recommends that women who get screening MRI do so at a facility that can do an MRI-guided breast biopsy at the same time if needed. Otherwise, the woman will have to have a second MRI exam at another facility at the time of biopsy. Regional radiology provides a full scope of interventional breast procedures including image guided biopsies. Image-guided biopsy is used when the abnormal area in the breast is too small to be felt, making it difficult for the physician to target the lesion by feeling (palpation). X-ray-guided (also called stereotactic) and ultrasound-guided breast biopsy procedures are ruled out if an abnormality is not clear with mammography or ultrasound scanning. When an abnormality is only visible with MRI, the physician may choose to perform an MR-guided breast biopsy. Lumps or abnormalities in the breast are often detected by imaging studies including mammography, ultrasound or magnetic resonance imaging (MRI). However, it is not always possible to tell from these imaging tests whether a growth in the breast is benign or cancerous. A breast biopsy involves removing some cells-either surgically or in a less invasive procedure involving a hollow needle-from the suspicious area in the breast and examining them under a microscope to determine a diagnosis. The tissue removed during a biopsy ranges from a tiny amount to the entire area of abnormal tissue. In MR-guided breast biopsy, magnetic resonance imaging is used to help guide the radiologist's instruments to the suspicious area. The procedure is less invasive than surgical biopsy, requires only a local anesthetic, leaves little or no scarring, and can be performed in less than an hour. The fine needle aspiration is performed by inserting a small needle into the breast through the skin to the site of the abnormality to collect a small sample of cells. The small size of the needle in this procedure has several drawbacks: it requires a very precise approach, does not allow a marker clip to be left behind in the breast identifying the area of the abnormality, and cannot always distinguish between invasive breast cancer and in situ disease (cancer that involves only the place in which it began and that has not spread). For this reason, MR-guided fine needle aspiration is rarely performed. The core needle biopsy uses a slightly larger needle, called an automated needle, to withdraw small cylinders or cores of tissue from the abnormal area of the breast. In this procedure, the needle is inserted three to five times to obtain samples. Because this procedure removes a larger amount of tissue, it can be more useful for determining treatment options if the analysis shows that the cells are cancerous. In a vacuum-assisted biopsy (VABB), vacuum pressure is used to help pull tissue into the needle without having to withdraw the probe after each sampling, as is necessary with the core needle method. The samples from VABB are usually larger than with core needle biopsy.